Tony Gollan admits he has concerns about Golden Slipper contender Vincere Volare on a wet track. Eagle Farm trainer Tony Gollan is happy with Vincere Volare’s barrier draw but believes there is a question mark on the filly on a heavy track in the Golden Slipperl. 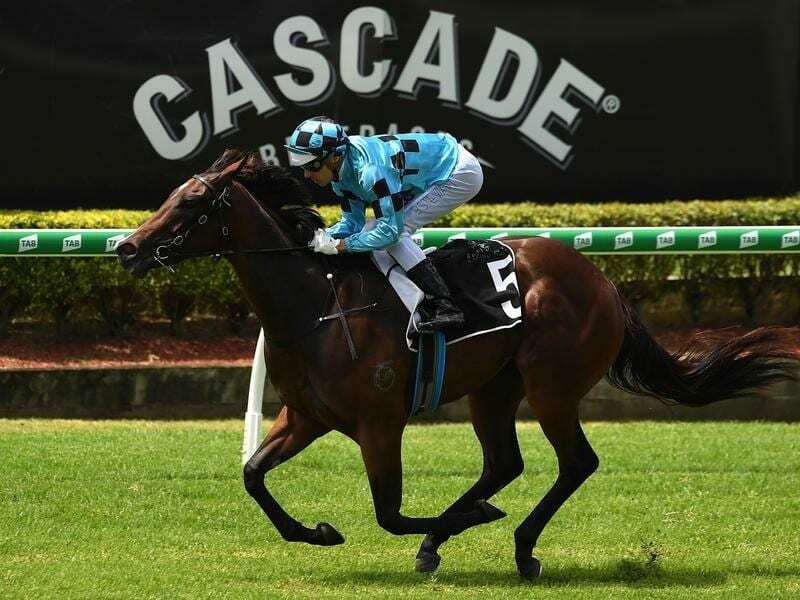 Vincere Volare is Queensland’s only representative in the Slipper and Gollan gave her a great chance in the race after her last-start third behind Tenley and Exhilarates in the Reisling Stakes two week’s ago. The filly drew barrier 11 for Saturday’s $3.5 million Slipper but will jump from nine if the emergencies don’t gain a start. “I am happy with that. She can roll forward from there and stay out of trouble,” Gollan said. He has been looking at Vincere Volare’s breeding for a clue but admits he isn’t much wiser. Elimbari’s dam, the smart racetrack performer Shalt Not, liked wet tracks and ran third in the Magic Millions won by Testa Rossa. “But Vincere Volare is By I Am Invincible and his stock are usually better on top of the ground,” Gollan said. “I originally thought my old Group One horse Temple Of Boom would struggle on a wet track and the heavier the track the better he went. The filly will be Gollan’s second Golden Slipper runner after Ef Troop was unplaced last year.